The main objective of image enhancement is to process an image so that the result is more suitable than the original image for the specific use to which it is to be put. Digital image enhancement techniques provide a multitude of choices for improving the visual quality of images. The various steps involved are tone mapping or HDR blending, color balancing, adding sky, grass and other objects as required and removal of unwanted objects like bins, carts etc., correcting perspective issues apparent with wide angle lenses. Another important issue in real estate photography is the ever present dust and removal of its unwanted images in the photo. 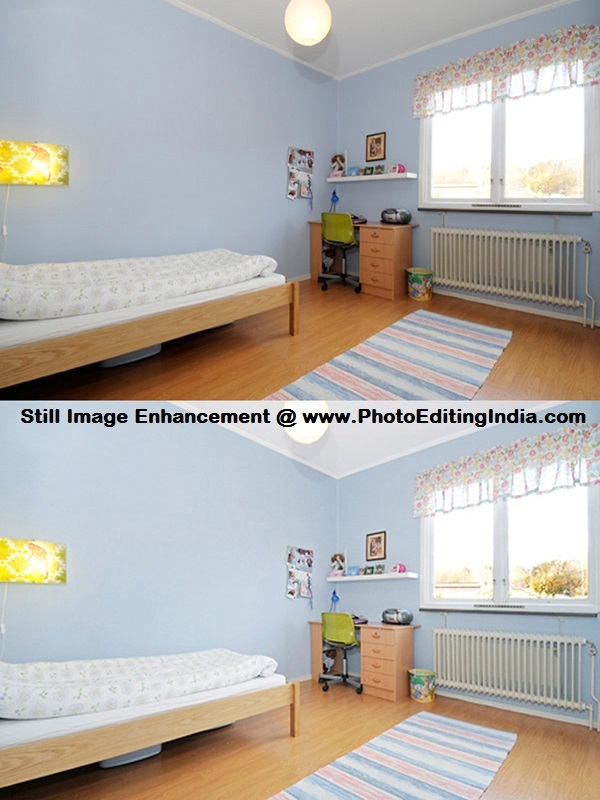 But when it comes to still image enhancement in the case of real estate photos, it is a completely different scenario. Most of these result from the most obvious hindrance, that of the availability of light, not to forget the plain fact that the backgrounds cannot be changed to make the image more sporty and bright. All we have in our hands is that of a closed space, with dark corners, patches of reflection based on the surface that is being photographed and the most common of them all - alignment issues. 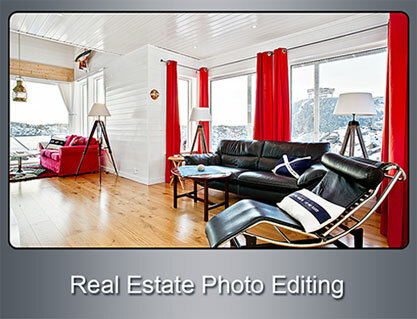 Real Estate Photo Editing Services is a science by itself because of the various elements that go into the editing which makes it an advertiser`s tool. During the post-production editing that most of the images go through, all these issues are carefully analysed and worked upon. Post shoot enhancement of the real estate images largely depend on the alignment of the shots. Since we are talking about buildings, which are usually made of strong angles and horizontal lines, the image would look out of place when it is not aligned properly. When there are alignment issues in an image, the rooms/buildings/windows would look wobbly and would cause the real estate image to look very shabby and drab. The alignment correction largely revolves around rotating the image in such a way that the lines are all parallel and that the building does not appear as if it is leaning away or towards something. This gives the property a smart look and makes it more enticing to the potential client. Real Estate Photo Editing Services are a must before the images taken by the camera can be used for advertisement purposes. The post production editing is essential ideally for post shot enhancement within the boundaries of reality,. Still image enhancement and alignment corrections are must haves when it comes to any real estate image. In conclusion it need to emphasised that all the above mentioned step need skilled personnel with an artistic bend, great skill, good training, expertise and experience. It is evidently imperative that it is best to employ professional groups to execute bulk work. One such group is Photo Editing India. The advantages in employing Photo Editing India are they have the up to date physical infrastructure and software and trained and skilled personnel to deliver high quality products within agreed time frames. The entire operation thus becomes very cost effective.